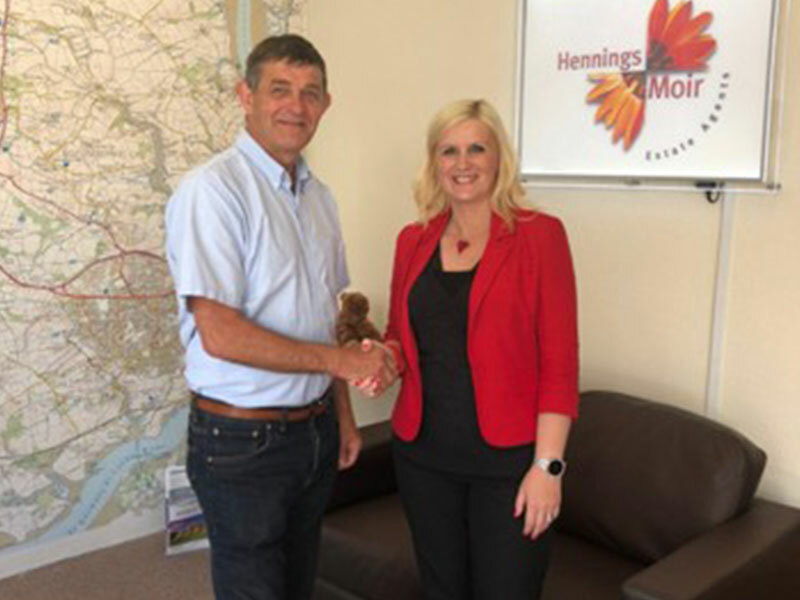 Hennings Moir, the long-established, highly-respected Saltash estate agency, is now sister company to Belvoir in Plymouth, having been bought by Belvoir’s director, Kerry Pike. Every member of the dedicated, hard-working team that has been central to cementing Hennings Moir’s outstanding reputation will keep their roles, with the well-loved Karen Chapple retaining her position as office manager. The iconic Hennings Moir brand is synonymous in Saltash and South East Cornwall, with many of its loyal clients using the agency every time they move home, and a large percentage of its new clients earned on personal recommendation. The agency has been selling homes in and around the town for almost 35 years and boasts the largest portfolio of rental property in the area, having opened its lettings department in 2006. With local treasures, Ian Henning and now Steve Moir taking retirement, the business has been acquired by fellow estate agent, Kerry Pike. Kerry has worked in the Plymouth property market for the last 12 years, 11 of those with Belvoir, buying the franchise in 2016. She is a well-known figure in the city’s property market, noted for her enthusiasm, dedication, personable approach and attention to detail, ensuring every client a bespoke service. The offices being in such close proximity, Hennings Moir and Belvoir will work together for buyers, sellers, landlords and tenants, providing an even better service. The team at Hennings Moir are extremely sad that Steve has taken retirement, but are very welcoming of Kerry, who will spend time in both offices. Hennings Moir will continue its membership of the Experts in Property network of around 80 independent estate agency offices throughout the South West, reaching more buyers and selling more homes. Belvoir is a franchise in a network of more than 170 offices nationwide, and Kerry passionately shares the brand’s principle of maintaining the highest standards of professionalism, always aiming to exceed client’s expectations. For further information, to arrange a free market valuation without obligation, or to chat through any property matters, pop into Hennings Moir on Fore Street in Saltash, call 01752 850440 or visit www.henningsmoir.com. To get in touch with Belvoir in Plymouth, pop into the office on Queen Anne’s Battery Marina, call 01752 665514 or visit www.belvoir.co.uk/offices/plymouth.